My twin sister is Berryjoy11. Follow Her! I am 12 years old. I'm from Texas. I live Iowa. I play basketball, volleyball, and softball. I think scratch is really awesome! In band I play clarinet! Sorry, I ran out of characters. I will f4f. I am trying to get 50 followers! 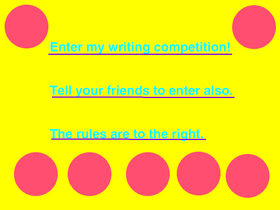 I have a writing contest so please enter it! How many managers can we get by March 21st?